All building & construction sector activity by volume rose to 106.2 in 2Q 2015, up 5.46% q/q and 7.16% y/y (I am using seasonally-adjusted basis numbers here). 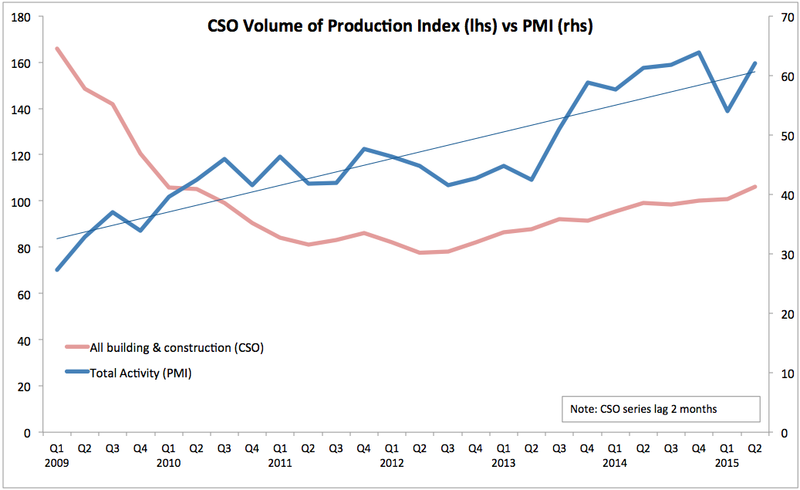 Much of this increase was down to a 8.78% rise in Building ex-Civil Engineering, which was itself primarily driven by a 14.6% q/q uplift in Residential Building. 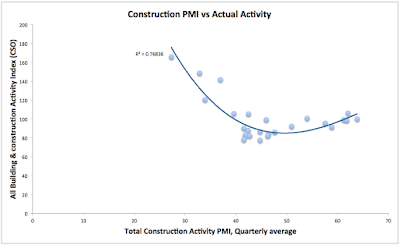 Charts above illustrate continued decoupling in trends between PMIs-signalled growth and actual activity in the sector. While PMIs have signal strong expansion, the rate of growth in actual activity has been much more modest. 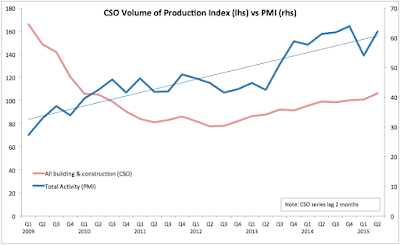 As the result, negative correlation between PMIs and CSO index has moderated, but it remains negative on a historical basis.